The company operates under the highest Industry Standards. It understands that safety is critical to the well being and reputation of the shipping industry. To attain this, Increasingly Stringent Criteria are applied and quality control maintained by investing in modern equipment. To remain current the company has kept abreast with the latest changes sweeping the shipping industry. BHN Group is committed to providing the Shipping Industry with high quality services at very competitive prices. No compromise is made whatsoever as far as Quality of its officers and crew is concerned. 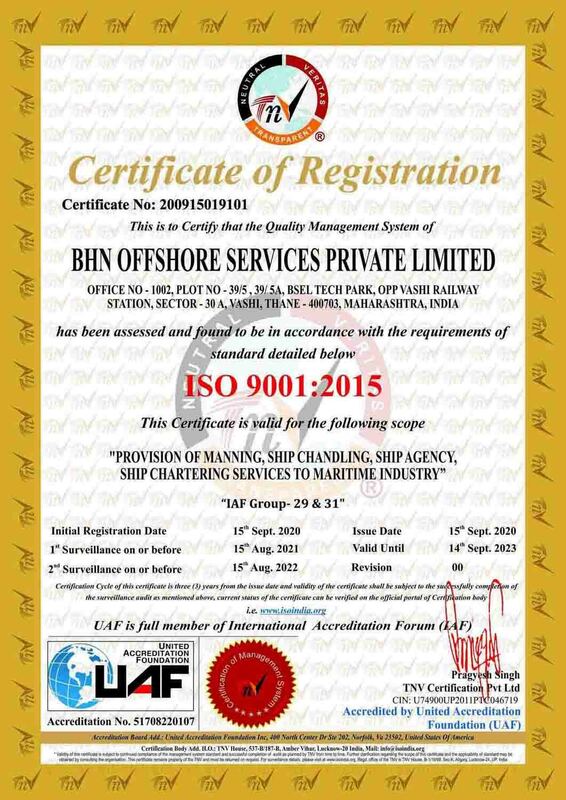 BHN is one of the first few Crew Management company to be certified ISO 9001: 2008 and OHSAS 18001:2007 by UKAS.